Rubber Mulch surfacing like Wetpour surfacing is a porous impact absorbing surface used in play areas to give safety to children. It is available in a range of standard colours as well as up to a 3 colour blend. Mulch can be adapted to your own requirements by adding graphics and patterns. Similar to Wetpour, Rubber Mulch can be installed around all equipment in play areas to cushion impact from potential trips and falls. The surface is varied in depth to meet the safety requirements of all play equipment. The benefit of having Rubber Mulch is that it can be laid onto grass or a solid soil base, so there isn’t the extra cost of the base works. Our Mulch surfaces can also be installed onto a compacted stone base, new and existing hard surfaces or even existing Rubber Mulch. 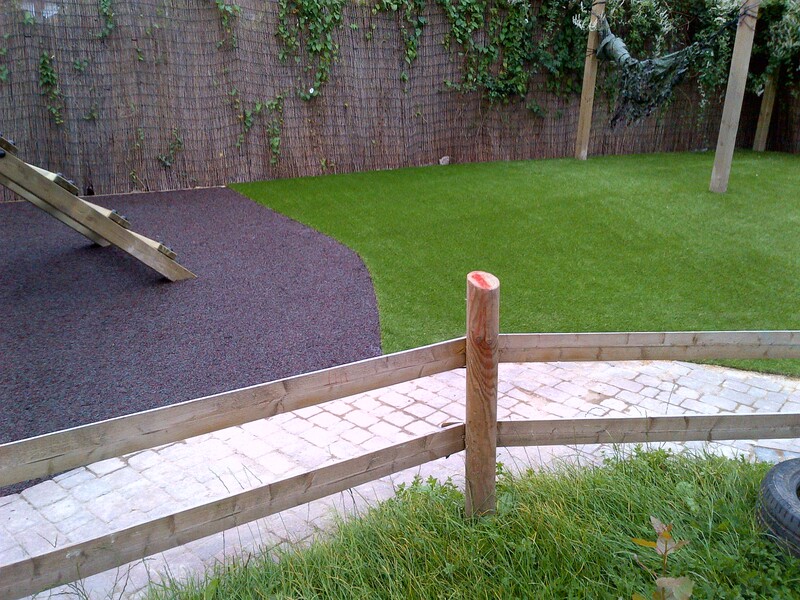 Rubber Mulch is suitable for children’s playgrounds and gardens as an alternative to traditional bark.